RioRio is an interior design studio, focused on textile and paper products. 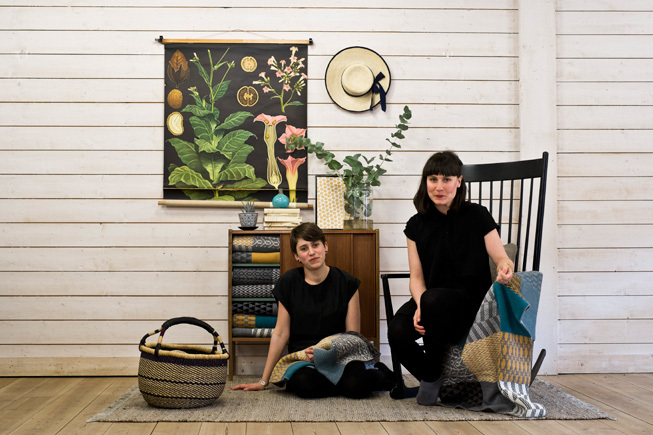 It was founded in 2012, when Maria Broberg and Sofia Bengtson decided to team up and make something together. They both shared a vision to make fun and colorful things for your home, with a lot of heart and quality in mind. In early autumn 2012 the duo was admitted to the Young Designers area at the interior design fair Formex in Stockholm. They had a flying start, and now you can find RioRio products in stores all over the world. On the Formex Spring fair 2014 their baby blanket ‘Banjara’ won the peoples choice award in the prestigous competition Formex Formidable. notebooks, stickers, patterned tape, papercrafts and postcards. Everything is made with a Scandinavian look and a retro charm that makes the products long lasting. for example in Elle Interör, Lantliv and Dagens Nyheter. Alongside, Maria and Sofia also work as freelance photographers and stylists. For commissioned work, look here.